How do I know where to buy a shed, I see them everywhere! Storage sheds are among the most versatile small structures you can buy for your property. In addition to serving as the perfect places to store lawn care equipment, recreational vehicles, farm supplies, pool care chemicals, and household tools, they can also be used as game rooms, offices, pet shelters, and even storefronts. Our sheds are built to withstand a full barrage of the elements in the Tennessee outdoors. With our 12-month full coverage warranty on all sheds, you’ll see how well your shed holds up year-round under a variety of conditions, including snow, ice, rain, and high humidity, without worrying about expensive repairs and replacements. On our classic Sheds we use a LP Smart panel that has a 50/5 prorated warranty. The Pressure treated materials that are used for all ground contact areas are warrantied for 40 years. The Energy star rated 29-gauge metal roofing has a 40 year warranty as well. 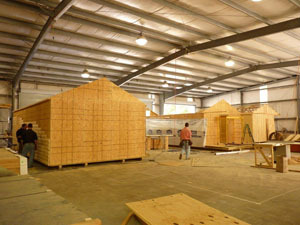 Because everyone uses their sheds for different purposes, we build a wide variety of sizes to accommodate all uses. That means you only have to pay for as much square footage and floor space as you plan on using. Our 10x10 sheds are perfect for tool and equipment storage, while our massive 16x48 sheds can be used as game rooms, offices, storefronts or even to store your cars in or use it as a work shop area to work on your special projects. Order it with a roll up door or two to make getting in and out a breeze. Storage sheds can be functional AND beautiful. When you order a storage shed from Hilltop Structures, you’ll have the opportunity to select features such as flower boxes, shutters, and windows to make your storage shed look like an extension of your home. We also paint our sheds with high-quality Sherwin Williams paint or stain which gives them a classic home-style appearance. For livestock and animal owners, there’s simply no better storage shed option than our Combo Utility Barn. In addition to having a large storage area and single or double door entry, our combo barn also has a 10x10 run-in for ponies, sheep, goats, and other small animals. Best of all, it can be built to include a 6x12 or 6x10 chicken coop complete with treated floors and ramped entrance. You choose the configuration and we’ll build it for you! There are lots of sheds but if you do your homework you will start noticing different features. Are they using 2x6 floor joist? Are they using ring shanked galvanized nails for all exterior nails or are they using staples to nail siding and trim on? Do they have a roof overhang to protect the building or is the roof cut off flush with building? Do they provide the blocks to level or is delivery and leveling an extra charge? Do they paint or stain to match your home at no extra charge? Rent to own financing is available on all sheds, the beauty of renting a shed is that after 24, 36 or 60 months you will own the building outright unlike renting a storage unit where you never get done paying. 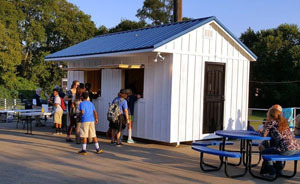 The cost to rent a storage unit vs a shed is very comparable but the benefits are very much in favor of the shed. 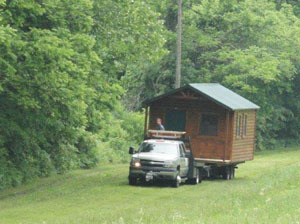 If you move we can pick up your shed and move it to your new location for a fee. It is in your back yard so that when you need something its right there at your fingertips. 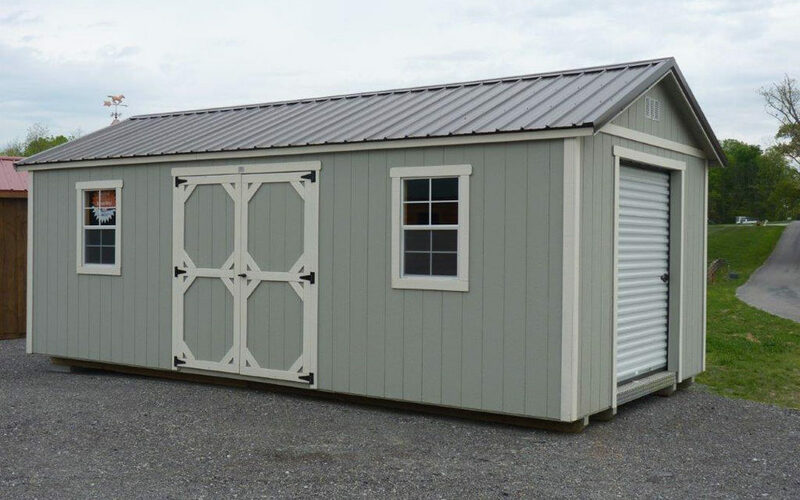 Contact Hilltop Structures today by calling (615) 789-0062 and set up a delivery date for your new storage shed today.